To count him as one of our own is stretching it a bit, but James Tobin did come tantalisingly close to seeing the cat (as the quote above indicates) before the minutiae of reductionistic mainstream academia obscured his vision. If we had associate membership of the Royal Order of Cat Seers, Mr. Ed would at least nominate Tobin on the basis of his endeavours to expose and eradicate privilege. Born into a comfortable Illinois family, the studious Tobin seemed destined for academia. He did his undergraduate and graduate work at Harvard University and taught there until 1950. This was interrupted by his service in the U.S. Navy during World War II during which he spent four years on the destroyer U.S.S. Kearny, serving eventually as gunnery officer and then navigator and executive officer. He participated in the invasions of North Africa and Southern France and in the Italian campaign. In 1950 he became an economics professor at Yale University where he happily stayed for the rest of his life. He took a leave of absence to serve as a member of President Kennedy’s Council of Economic Advisers from January 1961 to July 1962. He married in 1946 and seemed to enjoy a rich family life, with four high-achieving children and many varied interests – dogs, baseball, fireplaces (huh? ), birds, nature, fishing, dancing, jazz, alpine & crosscountry skiing, and tennis). While he soon made a name for himself in economic academia (in 1955 he won the John Bates Clark Medal), he was bombarded by the usual neoclassical nonsense and never really recovery his geo-sanity. He was essentially a Keynesian economist – indeed, he soon became one of the most highly regarded Keynesians. His most acclaimed work was developing theories to explain how financial markets affect people’s consumption and investment decisions. Tobin maintained that the economy cannot be controlled simply by manipulating money supplies – inflation, unemployment, and similar factors must also be taken into account. His research has shed light on how investors select items for investment portfolios and on how corporations handle capital investment programs. As a true Keynesian, he believed that governments should intervene in the economy in order to stabilise output and avoid recessions – but how did those boom-bust cycles begin in the first place, Tobes? Some people have localities named after them and others congenital abnormalities – Tobin is most famously known by the tax after which his is named. His eponymous Tobin (currency transfer) tax has many merits …. but many problems. He proposed a minute (around 0.5%) tax on foreign exchange transactions that was so low so as not to deter productive exchanges but would at the same time still prevent most speculative trading (which rely on very small profit margins). Unlike land value taxation, it does not address the systemic source of poverty. Insofar as it was designed to reduce unproductive, destabilising and predatory speculation on currency markets, there’s no doubt that it has merit. Tobin suggested that the proceeds of the tax could be used to fund projects for the benefit of Third World countries, or to support the United Nations, but today’s supporters, unfortunately, more often see the tax as another mere cash cow rather than how it moderates the ill effects of runaway forex trading. 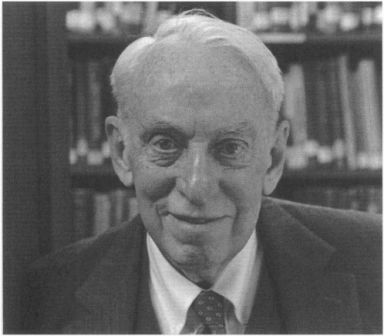 In 1981, Tobin received the Nobel Prize for his “analysis of financial markets and their relations to expenditure decisions, employment, production, and prices.” At the time, his personal research objectives were to provide Keynesian economics with more rigorous foundations and to tighten and elaborate the logic of macroeconomic and monetary theory. His prize-winning work argued that one cannot predict the effect of monetary policy on output and unemployment simply by knowing the interest rate or the rate of growth of the money supply. Monetary policy has its effect, claimed Tobin, by affecting capital investment, whether in plant and equipment or in consumer durables. And although interest rates are an important factor in capital investment, they are not the only factor. Still awake? But what about the elephant sitting in the corner, Tobes? Why not collect the economic rent from land and other natural resources, so that most of these problems won’t arise in the first place? Look, Tobes, you’ll get this back page biog because you were a nice, friendly chappie who looked after his missus and kids. OK, you did try to fight the obscene and totally-unearned billion dollar profits made by currency speculators like George Soros (who had to agree with you that his billions were basically legalised burglary). And, yes, you *did* eventually join the host of top economists who signed an open letter to Mikhail Gorbachev, urging him to retain Russia’s land in public ownership and to raise government revenue by charging rent for the use of land. But you never really became the maverick economist we urged you to be, declaring that the orthodoxy of the day, neoclassical economics, was intellectually and morally bankrupt.